According to the security expert Michael Horowitz, who published a great article about it in the Computer World, a service for backing up data from Android devices allows Google to simply find out passwords of its customers whenever they wish and wherever it is "needed". Horowitz believes that this is a result of the way in which Android devices store user passwords, which isaccording to him made purposely that way, just so that we can lose the security that would lead to "too much" privacy. Although Google (and its services Gmail, Google+ and others) is already on the list of companies that Snowden called out for helping U.S. intelligence agencies to spy on the citizens, now the story expands to the Google's Android OS. Specifically, the expert claims that Google's tools for backup actually copy anyone's W-Fi password and store them on Google's servers. In other words, it allows Google to have them at any time if they are for example requested by NSA or other friendly government agencies. According to Horowitz, this rumor is new, since so far tools for backup never indicated to store password for Wi-Fi. 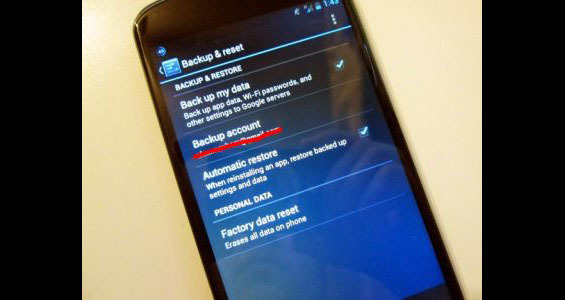 The Android 4.2 for the first time under the option Settings > Backup & reset includes a includes WiFi password as part of the data to be stored, and in the earlier versions of Android it was written only "Back up my data" or "Back up my settings".